I only made a handful of mixtapes during my prime “wooing” years—primarily the late ’90s to early 2000s, intermittently interrupted by long-term relationships, before MP3s and marriage put an end to all that. And I usually tailored the selections to the girl and our shared “scene”: The Zombies and The Kinks for the vintage-dress-rocking mod girls; The Smiths’ “There Is A Light That Never Goes Out” for post-punk girls (or Gang Of Four’s “Anthrax,” if I was trying to play it cool); The Velvet Underground’s “Pale Blue Eyes,” if she had… you know. 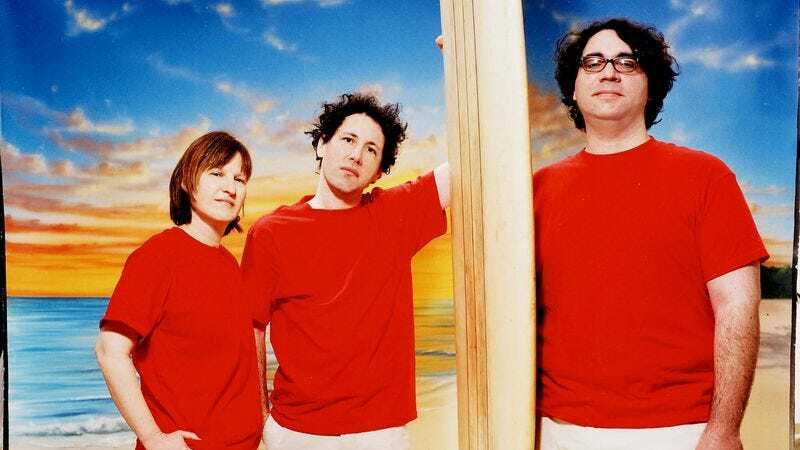 But throughout them all, the one constant was Yo La Tengo’s “Autumn Sweater,” the most cautious song about infatuation I know, and therefore the safest overture one could make through music. Even when they’re bathed in wails of discordant guitar, Yo La Tengo’s songs find their greatest strength in restraint, with the gentle murmur of Ira Kaplan and Georgia Hubley’s vocals standing in for every one of its introvert-rocker listeners (and their marriage standing in for those listeners’ dreams of finding love in a cool couple). That’s doubly true when they strip everything else away, as they do on “Autumn Sweater,” which finds Kaplan singing hesitantly over a simple drumbeat and droning organ chords, and the occasional, sudden interjection of a funky bass line. (I like to imagine those bass grooves hint at all the gettin’ it on buried in the subtext of the song’s otherwise very polite seduction). Some have interpreted “Autumn Sweater” as actually being about the end of a romance—and the verse about not being able to “smile easily like in the beginning” certainly lends some credence to that. But I choose to believe the most common interpretation, which is that it’s about the painful awkwardness of a long-awaited first date. The way I hear it, “Autumn Sweater” is a valentine from sensitive wallflower to wallflower, bookish loner to loner, with Kaplan finding his soul mate while trying his “best to hide in a crowded room,” only to panic when she finally arrives at his door. “We could slip away / Wouldn’t that be better?” he says, a plea he acknowledges would only end in “Me with nothing to say / And you in your autumn sweater.” Depending on your personality type, you’d either find the song’s shy, overthinking-it vision of intimacy irritating, or you’d be a girl I’d be interested in pursuing. Particularly if you wore autumn sweaters.